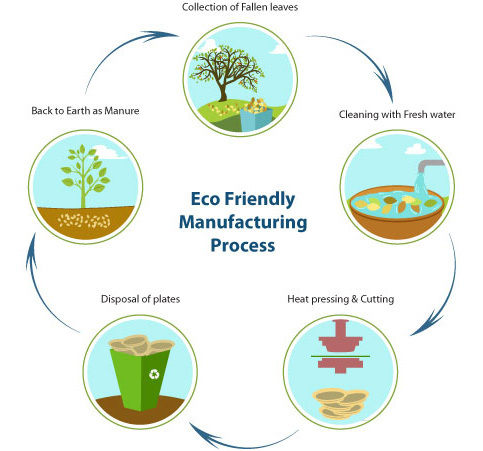 Disposable tableware and food packaging from renewable raw materials meet the key criteria of sustainability. 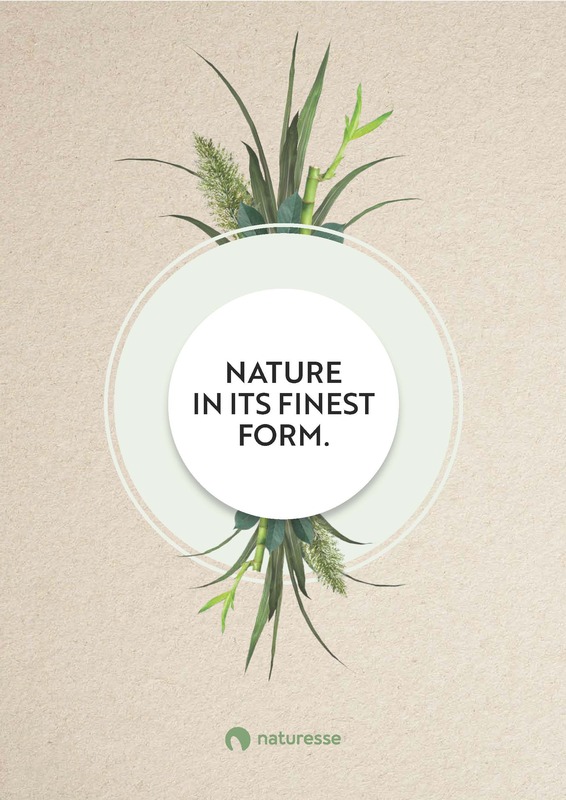 Persistently, and with a great deal of idealism, Naturesse Hellas has pursued the goal of being able to offer a comprehensive range of natural packaging products to the Greek market. The raw material for aesthetically pleasing, high-quality tableware is provided by the nut palm «Adaka». This unique plant, from which the fruit is also harvested and used, continually produces leaves during its growth period. Up to now, these have been burned as useless waste material. Indian families now collect these leaves locally and take them to the production sites, where they are cleaned and are then pressed into exclusive dishes and plates in tools heated to 120°C. The surface pattern of each item is unique. The material is also «Food Safe», and is so tough that no additional treatment, such as lamination, is necessary. The products are taste-neutral, watertight and heat resistant, and are ideal for baking or for use in microwaves ovens. The use of sugar cane for the production of attractive disposable tableware is a particularly elegant solution. This residual material arises in large quantities from sugar extraction in the production of cane sugar. The particularly tough fibres, which have normally been burned up to now, can be used as a valuable biomass. Up to 50 disposable plates can be produced from the residue of a single sugar-cane stalk. Tableware made from sugar cane is stylish, light and nevertheless very stable. It is also water-resistant, and is suitable for use in the microwave, and thereby also for cold and hot areas. Until recently, it was virtually impossible to manufacture highly transparent and dimensionally stable materials from renewable sources. Only since the development of a new type of fermentation process has it been possible to produce a natural alternative to polyethylene, which is dependent on mineral oil. This material, which is produced from natural starch, can be moulded into almost any shape, and can also be produced as a film. It is taste-neutral and heat-resistant up to approx. 40°C . Like all the other naturesse products, PLA is bio-degradable. Natural cellulose is available worldwide in virtually unlimited quantities. The cellulose itself is made from wood that is largely obtained in the context of forest thinning operations. This gives the forest the room to breathe and grow, thereby promoting regeneration. Cellulose is the raw material for naturesse coffee beakers, providing them with an additional, natural, starch coating. The German Fraunhofer Institute has developed a mouldable material in combination with limestone, from which stable and hygienic cutlery can be moulded. There is a general over-production of starch throughout Europe. It is therefore a sensible idea to process this material further. 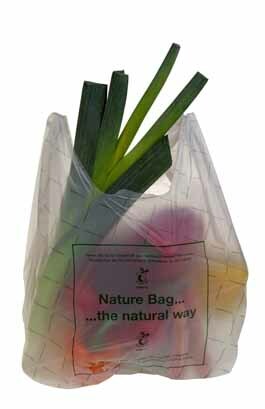 We all know the semi-transparent shopping bags that mostly end up as waste after use. Whether chain bags, shirt carrier bags, or foils, all our packaging aids are produced from vegetable oil or starch, and are compostable according to EN 13432. After their initial use, they can be reused as green waste bags. These starch-based bags and pouches are breathable, very stable and extremely tear-resistant.